Want more Fractured World stories? City of Hope and Ruin is the novel that started it all. Read an excerpt here. Get City of Hope and Ruin and four other LGBTQIA romances for free in April when you join QueeRomance Ink–a site built to help readers find exactly the types of queer romance books they want to read. “A Constant Companion” by Kit Campbell is a short prequel to the novel, featuring one of the two central characters, Briony. “Brothers” by Siri Paulson is a side story to the novel, featuring a secondary character, Astrolabe. Quick announcement to say that TODAY, Thursday, Kit and I are on tour! Virtually, that is. We’re stopping at 30 different blogs — look for discussions, reviews, and a giveaway. Click here to see all the tour stops! I’m over at Turtleduck Press again this week, talking about the novel that I’ve spent the past eight or nine months working on with fellow Turtleduck Press author Kit Campbell. It’s not Kit’s first time co-writing a novel; I’ve done it before too, but not for many many years. And I’ve blogged before about having a major crisis of faith as a writer last year. So I was a little apprehensive about how it would go. In fact, it’s been quite a smooth process — at least as smooth as novel writing ever is! It’s helped immensely to have somebody to bounce ideas off, to trade chapters with (we each wrote one point of view, in alternating chapters), to keep each other motivated. Having two minds to work on the worldbuilding and plotting has not meant that we’ve each done half as much work as on a solo novel, but it’s certainly helped — I think we’ve done a better job on this story than either of us could have on our own. And, most importantly…it’s gotten me to start, finish, and edit* a novel for the first time in way too long! I’m very grateful to Kit and to the rest of TDP. This process has been a true gift. Stay tuned for more news about this novel in the coming months! Today I’m thrilled to introduce a special guest blogger. 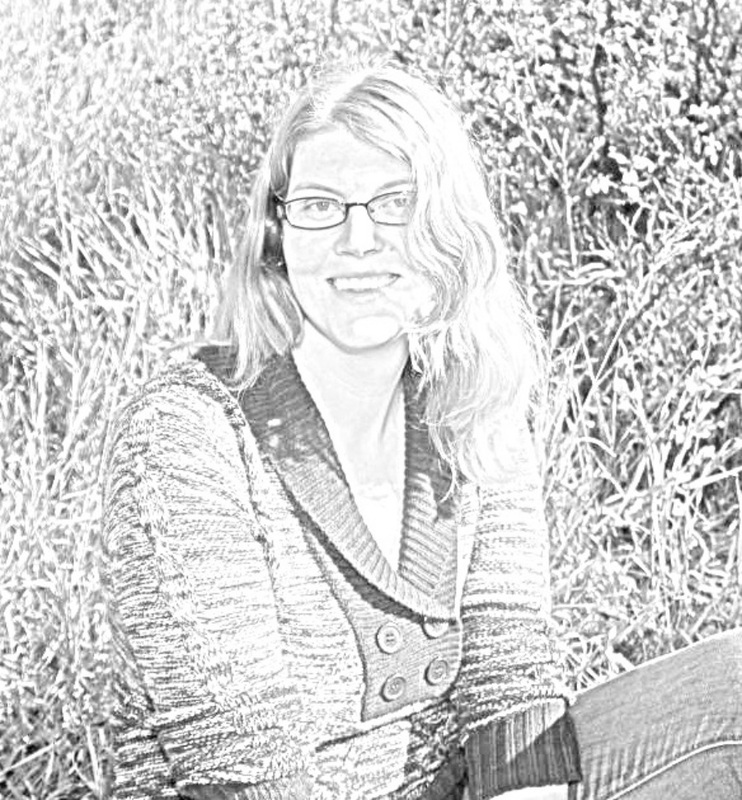 Kit Campbell is the brains behind the business end of Turtleduck Press, and she’s also the author of our newest novel, Shards. And? She’s doing all that around a small child. Here she is to explain how. I think most people who are not parents don’t really think about what it’s like to have children. That’s not a dig or anything like that, but why should they? Children are something in the future or something that you occasionally see at holidays and then can return to their respective parental units. Even parents don’t really think about what it’ll be like in the future. It’s hard, when you have an infant, to picture what he’ll be like as a toddler, a preschooler, a teenager, an adult. So, while I knew when I had children that I would have less time to work on my stories, I wasn’t quite prepared for what I was getting into. I should probably preface this by saying that I’m fairly new to this whole parenting thing; my only child will be a year and half just after the new year. I have, in this last year, managed to partially rewrite and completely edit my debut novel Shards, which was just released this past Sunday. How did I manage this? Very carefully. And by “very carefully,” I mean by careful use of what little free time I have left. I like to imagine that, as the small, mobile one gets older, I’ll get some free time back, either by him learning to concentrate on things or by eventually sending him off to school. I may be deluding myself, however. Right now, I have to do all my work while he’s sleeping. And I do mean all—not only my fiction work, but also my normal, daytime job, which I do from my home office. I also need to do some things around the house or yard while he’s asleep too, usually things that involve dangerous chemicals or sharp implements. I’ll tell you one thing. I have learned to focus like nobody’s business. He can occasionally be distracted by being turned loose in the backyard, though if he notices the laptop within range, he’ll be back. Sometimes he can be distracted if I give him whatever food item he’s been coveting and stay where he can see me. (But hide the laptop behind a plant. Or a stack of dishes.) He is, however, never distracted when I ask his father to watch him and then hole up in the office. He will stick his face up against the glass door and run his tongue along it until I let him in. I once wrote 50,000 words in a month while working full-time and taking graduate-level engineering classes. Who would have thought that one toddler would prove more time-consuming than that? But it’s probably good for me to have the structure, and despite the decrease in productivity, I wouldn’t go back to the way it was before. Life’s a little more interesting through all the chaos. Eva Martinez is just trying to finish her religious studies degree before her mom guilts her into coming home, when Michael saves her life. There’s definitely a spark between them, but Eva needs to focus on her studies and upcoming trip. Turns out Michael knows a lot about her major, but there’s a lot he’s not telling her too. Will Eva discover the truth about herself before it’s too late? Kit’s stories have been published in half-a-dozen anthologies, and her YA novella, Hidden Worlds, was released by Turtleduck Press in 2010. 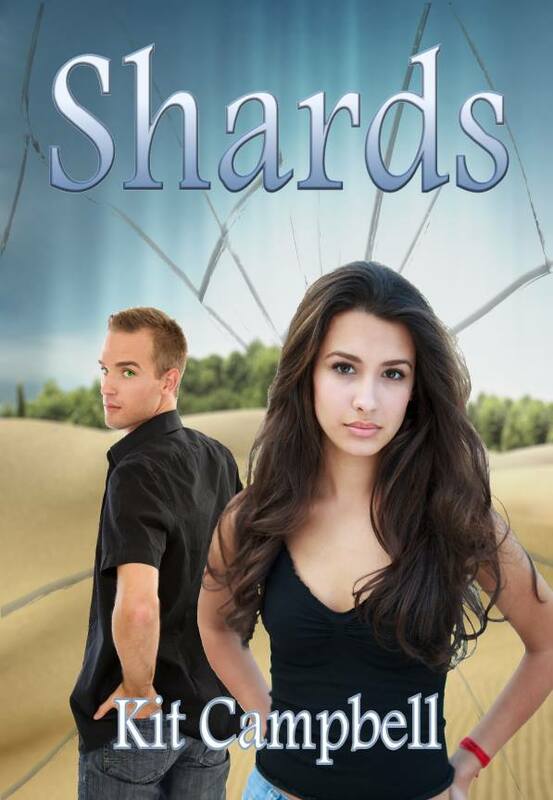 Shards is her first full-length novel. Kit lives in Colorado in a house of ever-increasing chaos. She can be found around the internet at kitcampbellbooks.com, @KitCampbell, and on Goodreads. Kit’s doing a blog tour this week — if you’d like to read more about Shards, all the links can be found at Kit’s website here. And, in totally unrelated news, I’m blogging at Turtleduck Press about being addicted to stress.